Nice post, Bro. I am extremely proud of you! Did you ever check into joining www.firepics.net ?????? If not, you really should. 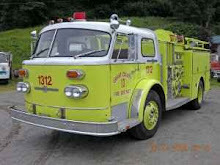 Any and all of the best of the best fire apparatus photographers "out there" all hang out on firepics. Chances are, if there are pics of E17 out there, someone on firepics will have them, and they are all more than willing to share. There is a small cost associated with joining; it is more of a deterrent to spammers than it is anything else. I think it's like 5 bucks a year, dirt cheap (and with no spam!!!) The only caveat is that you have to pay through paypal, he will not accept any other methods of payment.